Since we are at the Western Wall today, seeing all this with our own eyes, I thought I would share again this blog about the size of temples of Israel. The Muslim Shrine that now sits atop Temple Mount is built over the rock where Abraham offered his son Isaac as a holocaust. Solomon’s Temple had earlier been built over this site (Gen 22:2; 2 Chron 3:1). 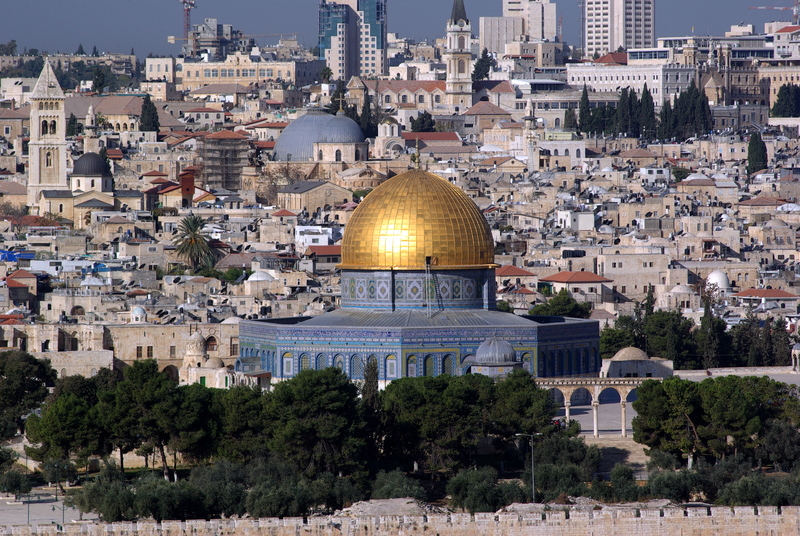 Solomon’s Temple was destroyed by the Babylonians in 586 BC and it was rebuilt when the exiled Jews returned to Jerusalem about seventy years later. It was not as elegant as Solomon’s but King Herod later rebuilt the Temple during the time of Christ. 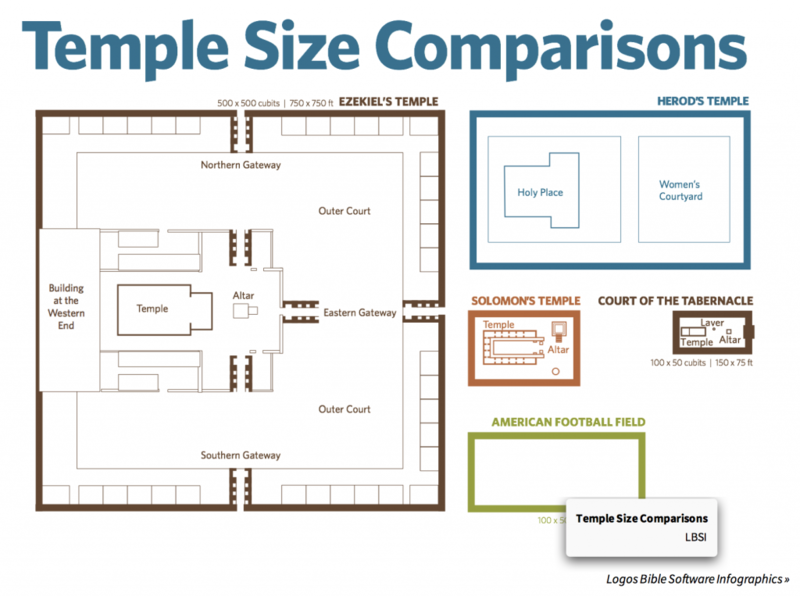 The 2nd Temple rebuilt by Herod was a glorious structure. The Romans razed Herod’s Temple to the ground in 70 AD. In the 7th century, Suleiman the Magnificent built the current Muslim Shrine in the place of the Temple where it still stands today. 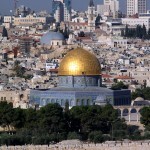 Will the Jews ever build a new temple there – what they call “The 3rd Temple”? No, because the 3rd Temple has already been built! It is the one described in Ezekiel 40. 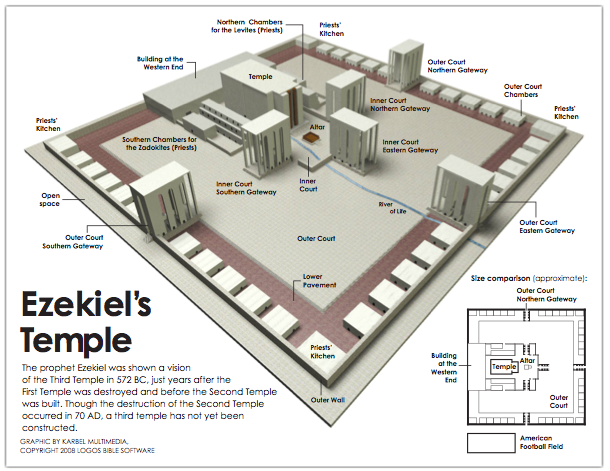 The Jews think this refers to an actual physical temple they hope to build someday in place of the Dome of the Rock, but Ezekiel is actually prophetically referring to the new Temple which is Christ’s Body. We are the Church and the Church is the Mystical Body of Christ, the New Temple. I also do not believe the Ark of the Old Covenant will ever be found (no matter how hard Indiana Jones looks for it). The old Ark has been replaced by the Ark of the New Covenant just like the old Temple has been replaced by the Temple of the New Covenant. Mary is the Ark of the New Covenant. Notice the River of Life flowing from the Holy of Holies!! You have the Assyrian exile (722 BC) and the final Babylonian exile/Temple destruction (587 BC) mixed up. STEVE RAY HERE: Opps, thanks. I fixed it. Previous post: Fun Day: Israel Museum, Jordan River, Jericho, Wumran, Dead Sea Float & Camel Rides! Next post: Our Group after Mass at the Tomb!